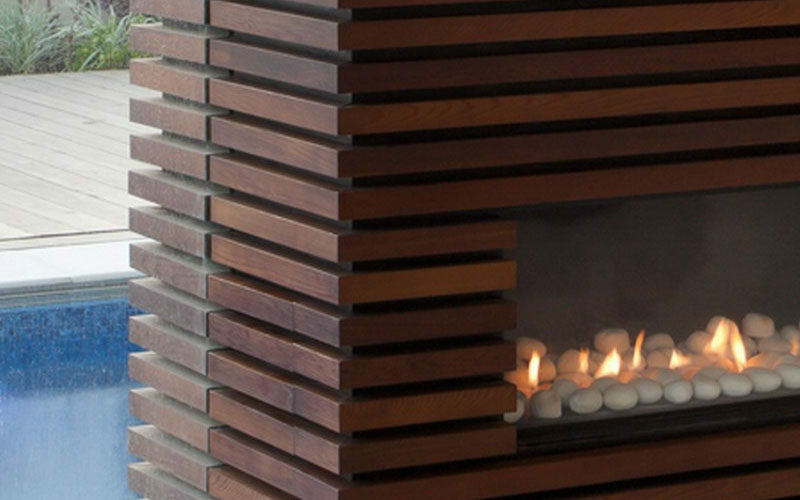 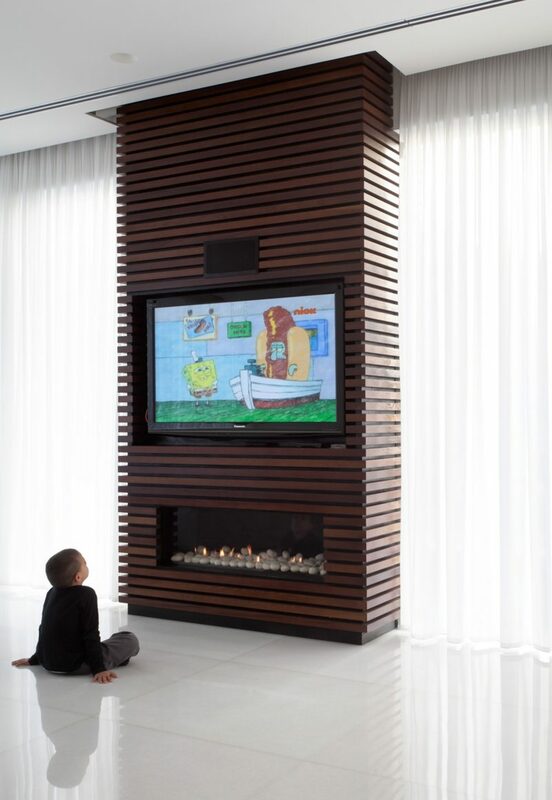 Wrapping an unsightly pillar or inconvenient wall in wood slats and installing a TV and fireplace within its design, is a great way to turn otherwise dead space into a functional design detail. 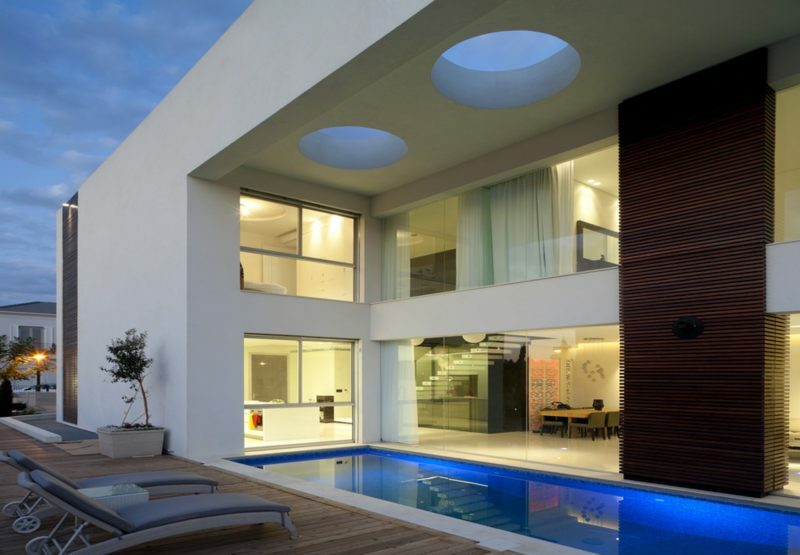 Seen here on this home, designed by architects Dan & Hila Israelevitz, slats of wood wrap around a pillar from the inside out, making it visible from the outside as well as the inside. 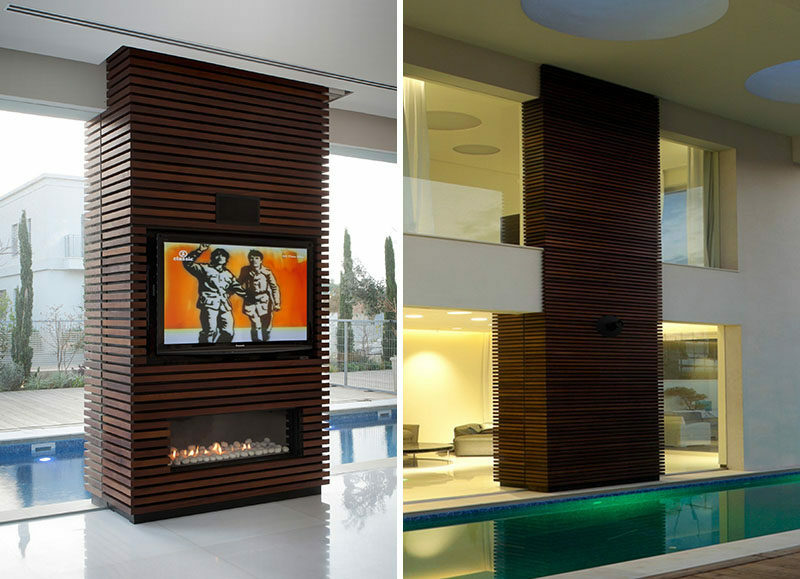 Rather than hanging art on the wall, covering it in wood slats and installing a TV and fireplace could turn that wall into a functional space and create a look similar to that of the one created in this home.